*Mikayla* In one night my fairytale ended. Or it may have begun. This is my story of friendship and love, heartbreak and desire, and the strength to show weakness. *Jake* One night I met a girl. A sad and broken girl, but one more beautiful than any other. She laughed through her sadness, while I loved through her heartbreak. 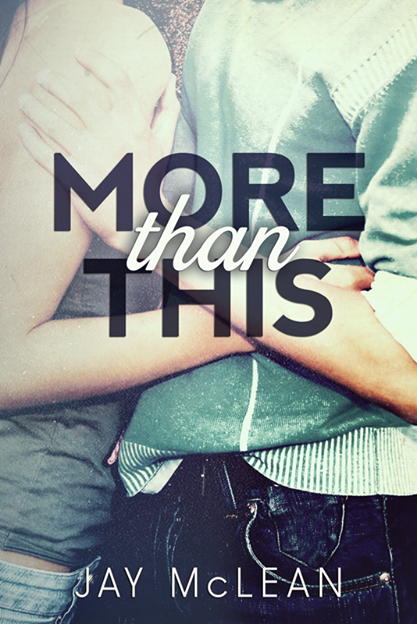 *This is our story of a maybe ever after. * He was right. It made no difference whether it was 6 months or 6 years. I couldn’t undo what had been done. I couldn’t change the future. I couldn’t even predict it. It was one night. One night when everything changed. It was so much more than just the betrayal. It was the Tragedy. The Deaths. The Murders. But it was also that feeling. The feeling of falling. This book made me mad, sad & happy…it made me laugh & cry…& all in the 1st 20% of the book…it was one gigantic emotional roller coaster!! The book made me laugh, cry and laugh again. 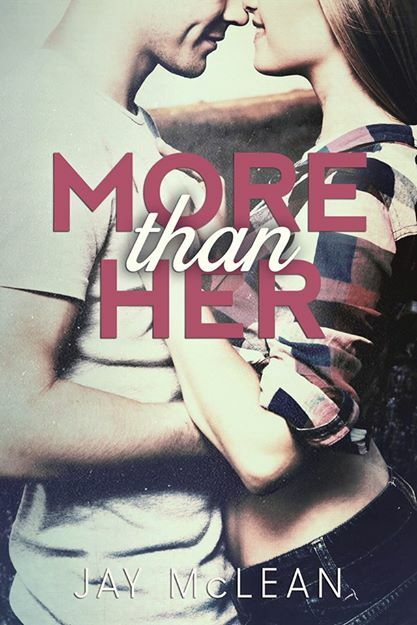 Jay Mclean is the author of the successful, mature YA and new adult contemporary novels in the More Series which include More Than This, More Than Her, and More Than Him, as well as, the upcoming standalone novel The Road. 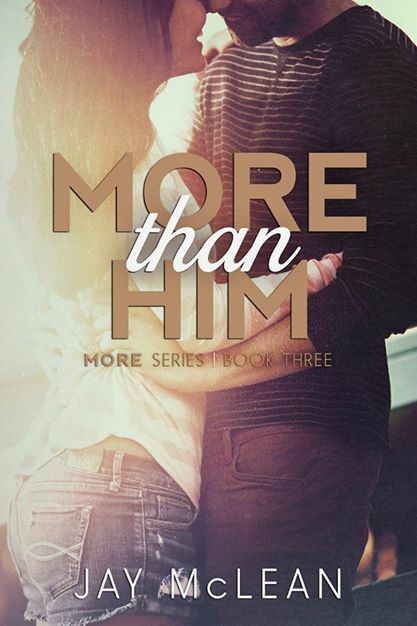 Her goal is to write books that make you FEEL, whether it’s swooning over a book boyfriend, laughing, crying or throwing your kindle across the room, her goal is to take you on an emotional journey that will leave you craving MORE. When she isn’t locked away in her cave writing, she can be found spending time with her two adorable little boys, reading, and getting to know her readers. 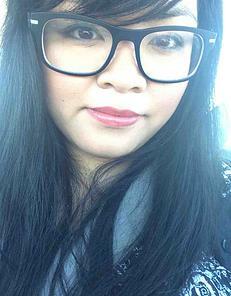 She has a love for red gummy bears and a hatred of creepy moths. She attempts to avoid housework at all cost…often by distracting herself with an old school One Tree Hill marathon.You can visit Jay online for new releases, updates and teasers at her website / Facebook / Twitter . 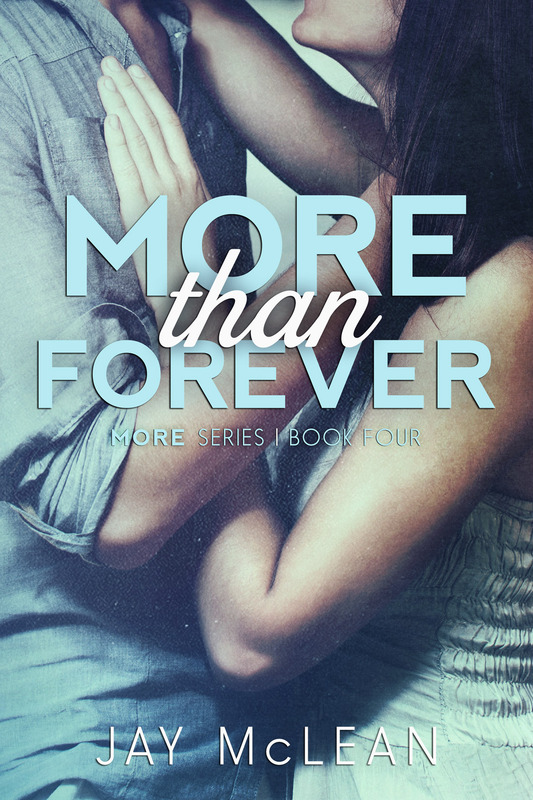 This entry was posted in Cover Reveal and tagged cover reveal, Jay Mclean, More than Forever, More Than Her, More Than Him, More than This by Book Lovers Obsession. Bookmark the permalink.